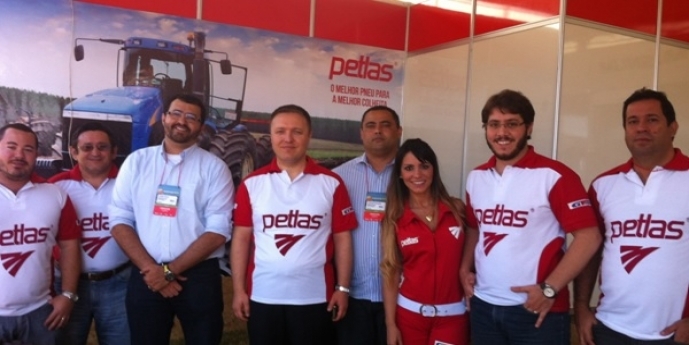 Petlas Tire’s Brazil distributor Magnum Pneus who represents Petlas brand Agricultural and OTR tires for 7 years within the territory, participated in Agri Show 2014 and Pneu Show 2014 with Petlas Brand. Pneu Show is biennial organization located in Sao Paulo between 22nd – 25th April. This show is totally oriented in Tire business. More than 400 visitors visited Petlas booth. Agri Show is located in Riberio Preto. Agri Show is the main organization focused on Agricultural technologies which is popular for all Latin America. More than 1000 visitors visited Petlas booth during 5 days between 27th April – 1st May. Petlas Tire Corp. exhibited Otr and Agricultural Tires during the shows.